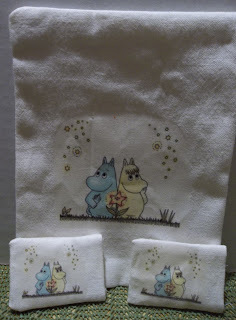 Here is the gift from Ninni for door 22. 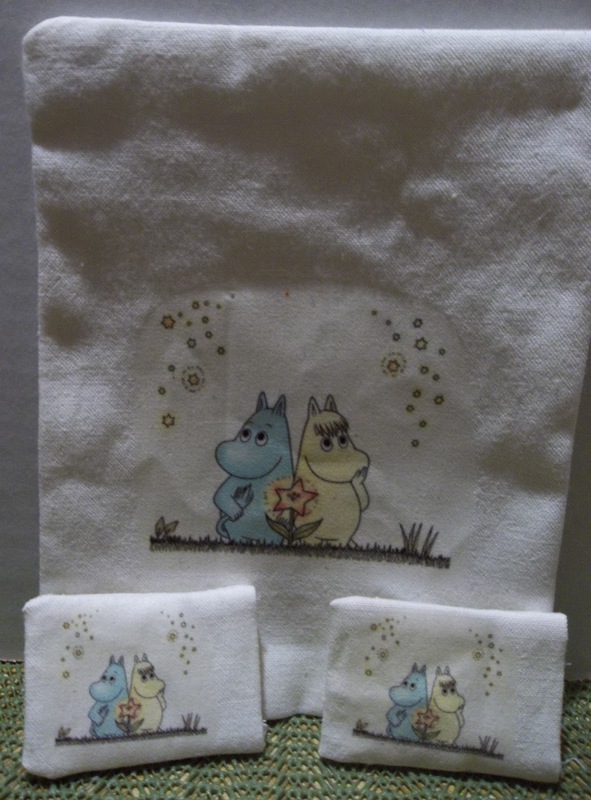 A cute little Moomins bedding set. 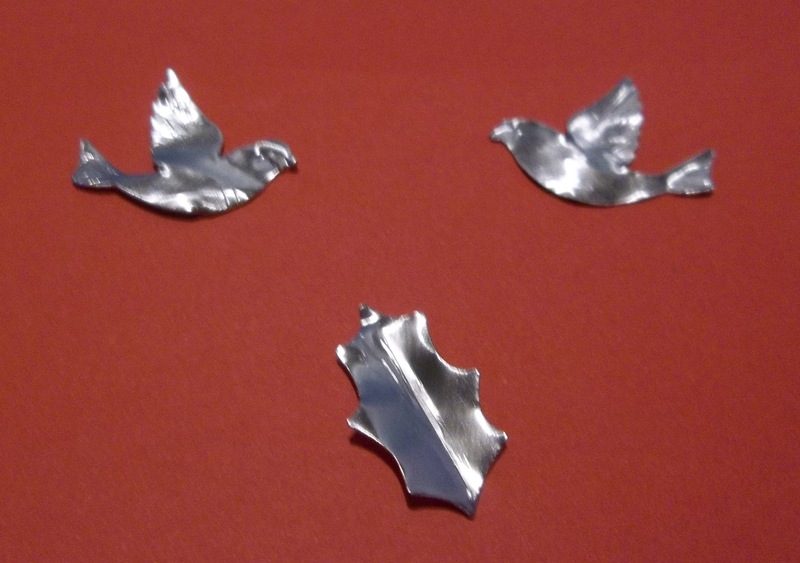 Thanks Ninni, these are very nice, great work. Here is what I sent Ninni for door 22.
punched from craft foil and shaped and detailed with a clay shaping and needle tool. A tiny little Christmas tree, made from a bumpy chenelle stem, seed beads and a star punched from crafts foil. 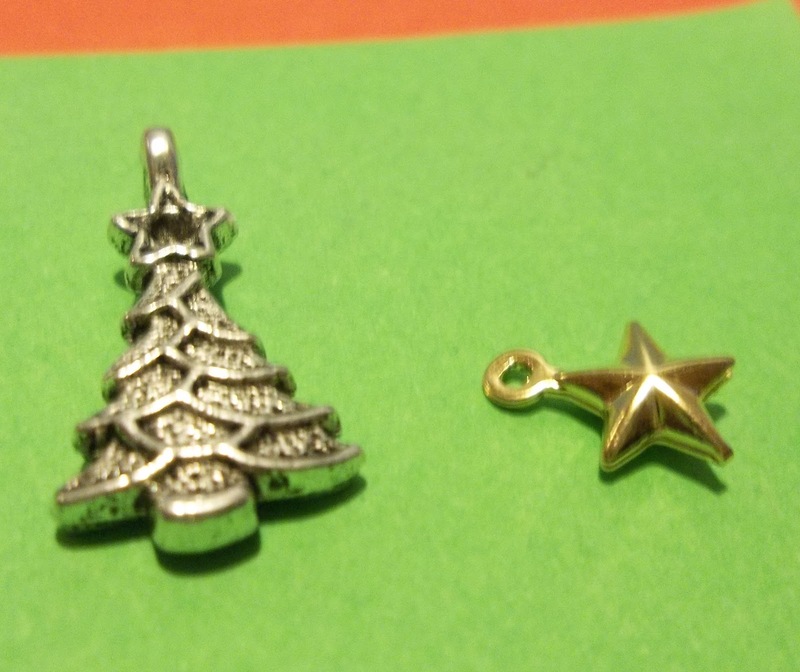 A Christmas tree charm and a few star charms. 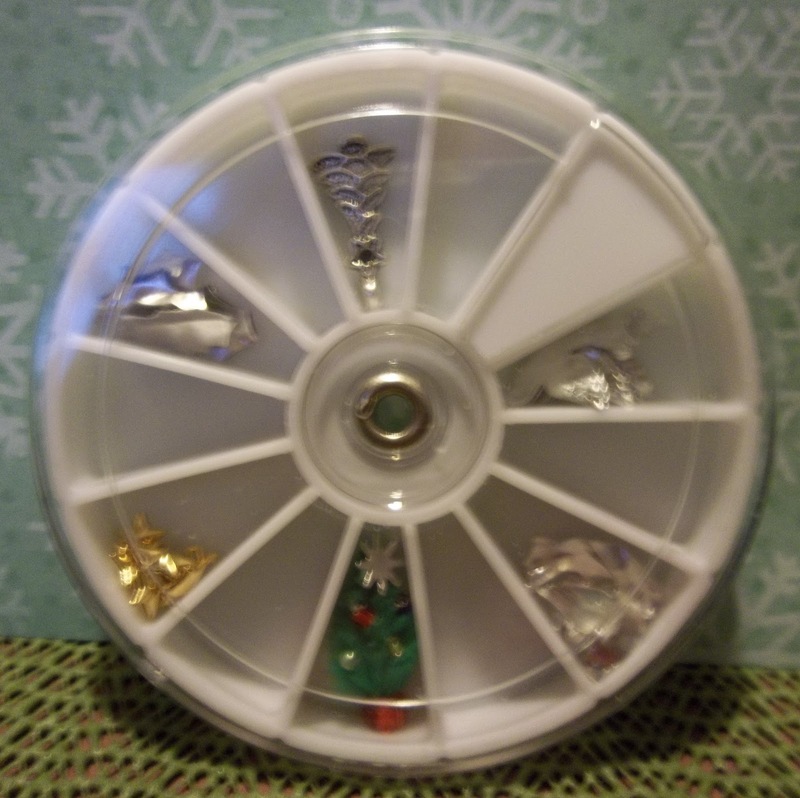 I placed them all in a little organizer before I wrapped them up. 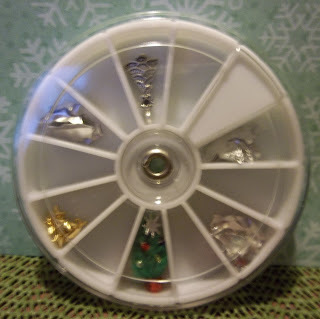 I hope that you are all having a wonderful Holiday Season. 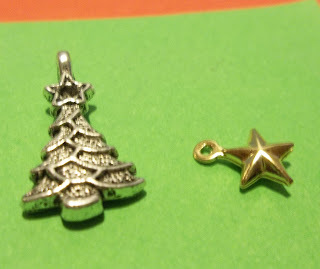 Wonderful swap items. The bedding set is beautiful. 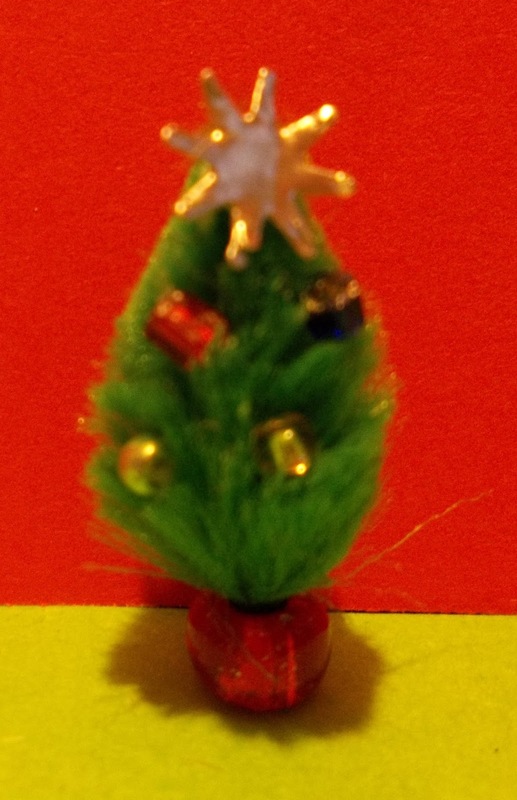 I love your little tree and the little craft foil items. Wishing you and yours a very happy Christmas. I wish you and your loved ones a Merry Christmas and a Happy New Year!